Dr. Gordon C. Honig, DMD “Sets the Bar” for Orthodontic Care in Newark, Middletown, and the surrounding Wilmington, DE Areas! Thanks for visiting the website of Board Certified orthodontist Dr. Gordon C. Honig, DMD. Live... Dream... Smile! Everyone wants a smile that stands out, but good oral health goes beyond cosmetic - having a healthy bite is crucial to chewing, speaking, oral hygiene, and more. Our practice utilizes the most advanced diagnostic and treatment techniques available today offering a variety of treatments including invisible “behind the teeth” braces, Invisalign - the “clear” alternative to wearing braces for adults and teens. 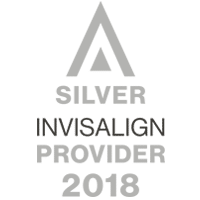 Dr. Honig is a premier Invisalign provider! Getting braces should be anything but stressful! From your initial complimentary consultation, to reviewing health records and treatment updates with your general dentist, to the day your appliances are removed, we thoroughly coordinate every phase in your treatment process so YOU can focus on your new smile. We also proudly serve the orthodontic needs of patients in Bear, Hockessin, News Castle, Townsend, Smyrna, Dover, Chesapeake City, and Elkton. My children and I are all patients of Dr. Honig - the entire experience has been top notch! The staff is EXCELLENT and we will miss them now that we are all finished... but, we all have a beautiful set of teeth to remember them by! This is our second child to go through Dr. Honig’s for braces. We have been very pleased with the service. I like that I receive e-mail notifications of appointments. Everyone has been extremely nice. You have a great staff. It’s also nice that you have the video games, magazines and newspapers. Thanks so much for helping design a beautiful smile for our daughter! We appreciate the friendly staff, the attention to detail and the clean, efficient environment. We will recommend Dr. Honig and his staff to anyone looking for great orthodontic care. Thank you for the wonderful experience! We love the staff and the atmosphere here at Dr. Honig’s office. Everyone has been so friendly, patient, professional and communicative. Dr. Honig and the whole staff have always been very respectful and treated each of our 4 children and my hubby and I with lots of respect. They’ve been flexible to respond to the different needs of each member of our family. Thank you! I want to thank you and all your team for taking such good care of me during my treatment. Everything was explained to me in detail and I felt I made the best decision going with the lingual braces. I absolutely recommend Dr. Honig’s practice to anybody who wants braces. They do great work! Everyone there is extremely friendly and they truly enjoy what they do and take great care of their patients. Thank you so much for an outstanding service. The staff are amazing and so personable. I love from the moment you walk into the office that they value your time. I have been going to the office for about a year and never had extended wait time. Dr. Honig is very knowledgeable in his field. He checks in on your progress and wants to make sure your teeth are perfect. Thanks for giving me an amazing smile! It's a wonderful office, incredible atmosphere, and very friendly staff. I love how they have made the children/patients responsible for a lot of their own things. Giving them points and rewards, having them check themselves in, just getting them involved.